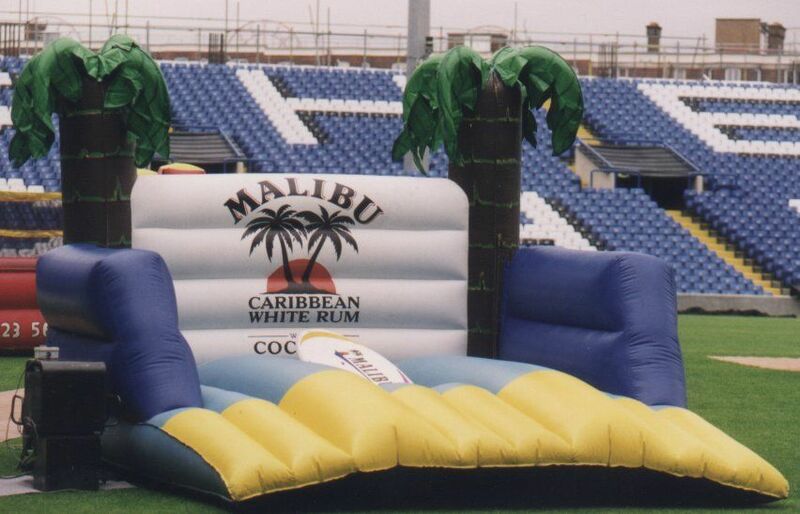 We are based in Berkshire and travel all over the UK with the Dunk Tank, Gunge Tank and both the Surf and Snowboard Simulators. You will need an area 12′ x 12′ for the Dunk Tank or Gunge Tank , however they can draw a large crowd so you may want a larger area. The Surf Simulator and Snowboard Simulator need an area around 15′ x 15′ we will need a normal household 13amp electrical socket or we can bring a generator. We provide an operator for the Simulators and Tanks, however you will require somebody to collect the money and organise crowds. We have two styles of Dunk Tanks and can now offer a collapsable Dunk Tank that can be used where access is limited or indoors. We will require a Tap / Hose Pipe within 50` of where you want the Dunk Tank. We bring 50′ of hose however the longer the hose the longer it takes to fill the tank. The Dunk Tank holds 1600 litres of water and takes up to 2 1/2 hours to fill from a garden hose. Access to a Tap / Hose is useful for the Gunge Tank for cleaning up but is not essential. We will require access to hot water to make the Gunge for the Gunge Tank. The larger Dunk Tank is 6′ wide by 6′ 6″ tall when on its trailer. If you have any gates or the tank is going inside, this is the minimum dimensions for doors we can get through. If you think you may have access problems then our collapsable Dunk Tank may be more suitable. We will also need to drain the tank at the end of the event to move it. We have full public liability insurance and can provide Risk Assessments if required. 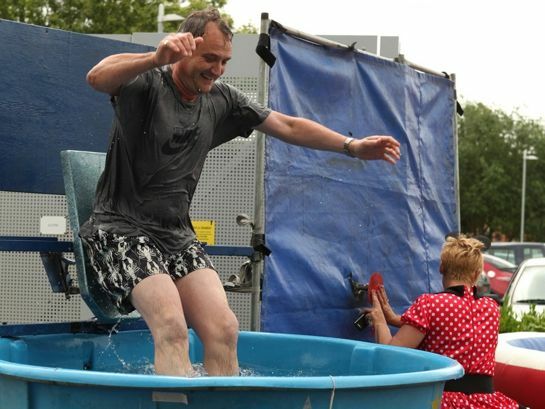 Because Dunk Tanks are so rare in the UK we do get very busy in the summer months. Many people advertise they have a tank however many are agents who will then source a tank elsewhere. We urge you to book sooner rather than later so as to secure your booking. When you book with ourselves, it will be us that delivers and runs the tanks for you. Any questions you have will be answered and any special requirements catered for. We are very flexible to work with. 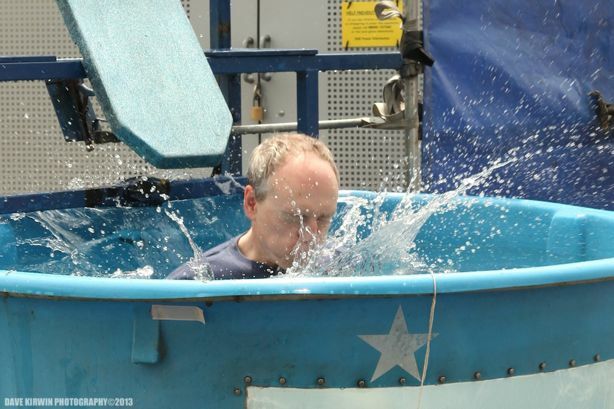 Many companies provide items like the Dunk Tank at an hourly rate. With us the price would be for an average day. We do not watch the clock waiting to go home. ! 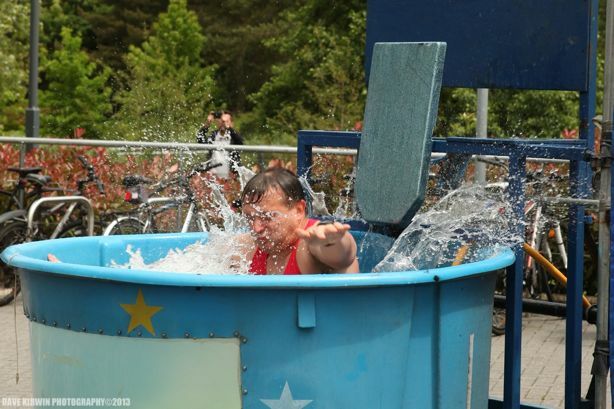 How much does the Dunk Tank or Gunge Tank cost to hire ? This is usually the question everybody wants to know. 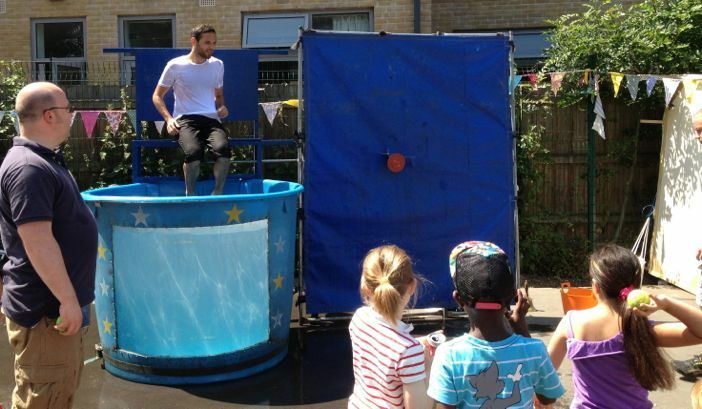 You know you want to book the Dunk Tank as it is going to be the star of the show at your event. Can you afford not to book the Dunk Tank. 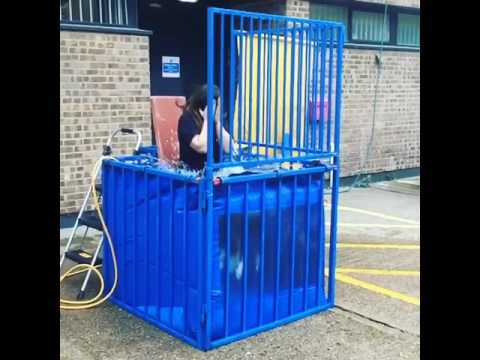 As a fundraiser the Dunk Tank can make between £60 and £120 per hour at the right event and with the right people on the seat. It is important to have enough volunteers to sit on the seat. We do recomend at least 2 or 3 volunteers per hour. 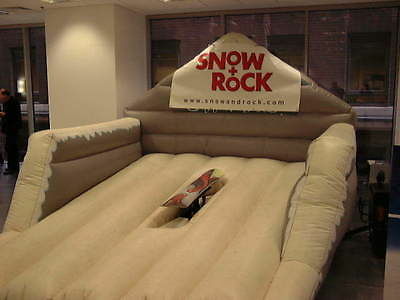 With this, the volunteers don`t get too cold and you also have a steady stream of people wanting to dunk new volunteers. We will always assist where we can with Charities and Schools and other genuine fund raising events. We are based in Reading Berkshire and do travel all over the country with the Dunk Tank and Gunge Tank. Because the tanks are so rare in the UK, there are only 7 or 8 Tanks in the UK that are hired out reguarly. It is not uncommon for us to be in Penzanze one weekend and Scotland the next ! We will always try and offer the best price we can for long distance events.